Must be registered by May 9th to be guaranteed a T-shirt. $2.00 discount for Military, Boy Scouts, Girl Scouts, KRRC, PSRR, or PFPRC. Register online through 6:00pm on May 17th. Register race day beginning at 7:00 AM. 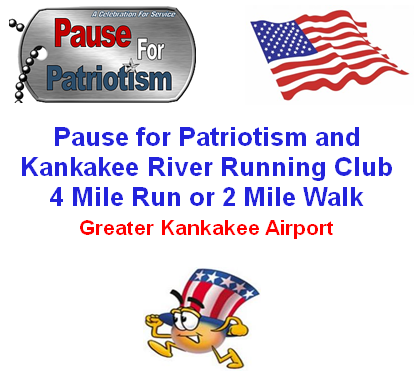 Come join us for a 4 mile run on a loop course, partly along the scenic Iroquois River or a 2 mile walk on an out-and-back course.